A 5,000 tonnes outdoor steel deck for the new look! 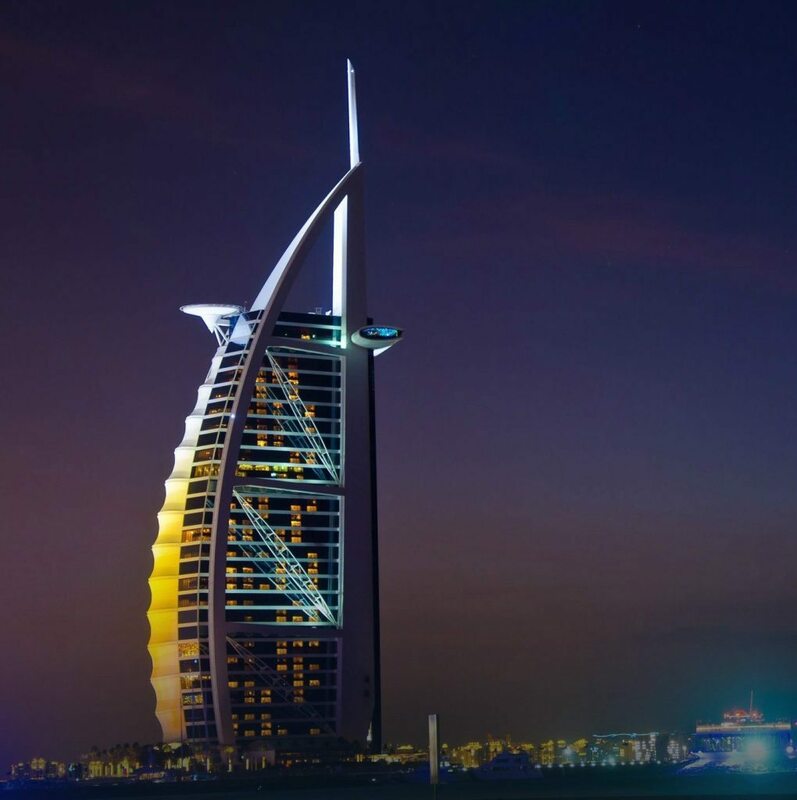 The Burj Al Arab in Dubai is set to get a “North Deck”, an outdoor luxury deck, due to officially open in second quarter of 2016. The 10,000 square metres private luxury deck will fan 100 metres out into the Arabian Gulf and accommodate 32 cabanas, 400 sun loungers, one fresh water pool measuring 612 square metres and one salt water pool measuring 828 square metres, one restaurant and a bar. Radically altering its silhouette, the immense addition to the building will certainly redefine the colossal structure. Marine construction experts, Admares have developed the deck in six sections off-site. The structure has been built in a controlled cruise ship and yacht production facility which guarantees the highest standards in both construction and luxury finish. The 5,000 tonnes North Deck made from steel and weighing around is currently being transported to Dubai by sea. On arrival at the hotel, scheduled for mid-February, it will be lifted by crane and lowered onto a grid of 90 steel piles, 914 millimetres in diameter, facing north into the Arabian Gulf. It is relieving to know though that the construction and steel pile installation process will cause minimal impact to the ocean environment compared to the effect normally associated with a land reclamation approach. The environmentally-sound deck will also provide an artificial reef and shade for marine life. Anthony McHale, general manager of Burj Al Arab Jumeirah, said: “As a hotel we are dedicated to surpassing guest expectations by providing the ultimate Arabian hospitality experience and we have no doubt that North Deck will do just that. “We are hugely excited about its arrival – North Deck is a true reflection of Dubai’s own ambition to provide the most outstanding experience for guests visiting and living in Dubai,” he added. The North Deck project was planned in utmost secrecy by outgoing Jumeirah chief executive Gerald Lawless, who last week announced he was to take up a strategic role in leisure and tourism at Dubai Holding, Jumeirah’s parent.